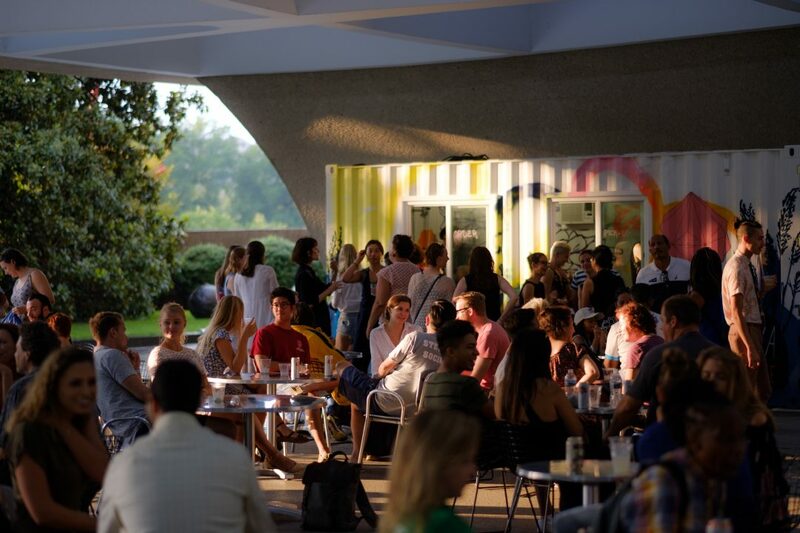 Stay up late for an artful take on the longest day of the year at the Hirshhorn’s free ‘Solstice Saturday’ open house Saturday, June 23, part of a Smithsonian-wide night of performances, programs and parties. From 10 a.m. to dusk, be the first to make a wish at Yoko Ono’s interactive Wish Tree, and stop by D.C. favorite Dolcezza Gelato for a free sample of its newest flavor ‘Orange Sunshine.’ Then, explore the Hirshhorn’s expansive galleries late into the night, and kick back with cocktails and music on the museum’s modernist, outdoor plaza. Yoko Ono’s Wish Tree for Washington D.C.
Each summer, Yoko Ono’s interactive artwork ‘blooms’ with thousands of hopes and ambitions, handwritten and tied to the branches of a Japanese dogwood tree in the museum’s sculpture garden. Come early to be among the first to have your wish included as part of Ono’s global art project. Stop by Dolcezza Coffee & Gelato’s colorful outdoor pop-up shop and be the first to try a new, exclusive summer flavor ‘Orange Sunshine,’ which features alishan oolong tea with generous helpings of pixie tangerine juice (while supplies last!). Explore the just-opened special exhibition Baselitz: Six Decades, the first major US retrospective of legendary German artist Georg Baselitz in more than 20 years.